Personality: Cold around strangers, and those whom she does not accept, which is virtually everyone. When not overtaken by this cold personality, she is a cheerful person and very perceptive. Said to have "Hawk-like vision"
Fighting Style: Most proficient with bow and arrow at range. Likes to take out targets quickly and quietly from a distance. When forced into close range fighting, she utilizes her speed with her Kodachi. Turns to bloodline abilities when she feels they are necessary. Uses tactics to disrupt enemy movement and senses. Similarly to her brother, Shinobu spent most of her life after their father's death, being bullied, fighting classmates and being shunned by society. Kohaku would fight for her until she was strong enough to fight her own battles. The consistent berating and violence caused her to lose any ability to trust those around her, relying solely on her relationship with her brother to fight through the difficult times. She and her mother fell out of good terms after learning about the secret to her heritage and questioning why they were not informed prior. Although she never confronted her mother on the issue itself, the fallout with her children were one of the reasons why the mother left to seek help on the issue of demonic transformation. 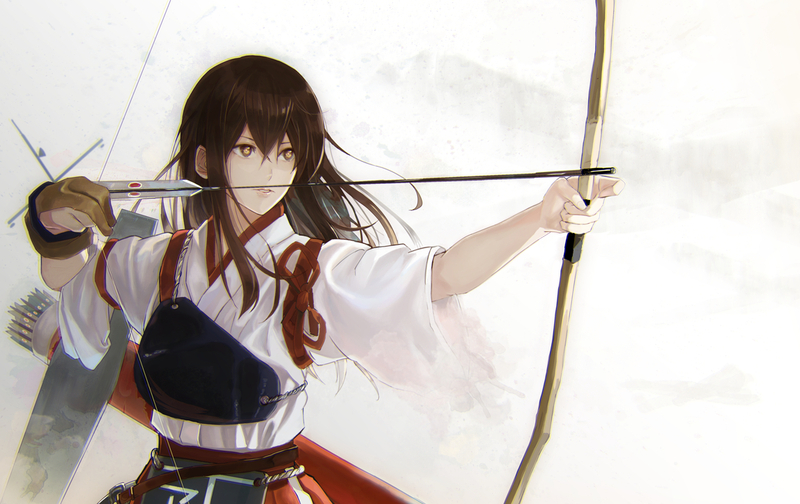 At the age of 9, Shinobu took up archery, which she excelled at. Her instructor applauded her natural ability, stating that with her "hawk-like vision" could become a deadly shooter from extreme distances. For close range confrontation, Shinobu learned from her brother and utilizes speed with her single Kodachi blade. The one she uses was a gift from her late father, on her birthday a year before he was killed. It's typically strapped to her back, along her waist for ease of access.